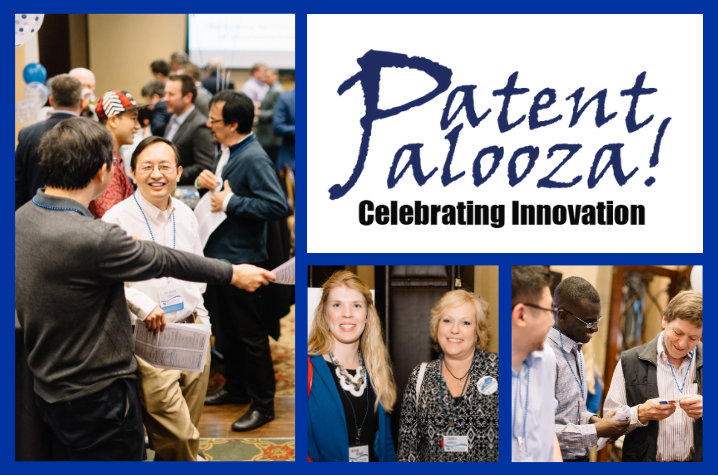 LEXINGTON, Ky. (March 19, 2019) — The University of Kentucky Office of Technology Commercialization (OTC) will host its third annual "Patent Palooza!" 4-6 p.m. Tuesday, March 26, in Ballroom 212C of the Gatton Student Center. "Patent Palooza!" is a fun event celebrating UK innovators, entrepreneurs and startups for their breakthrough discoveries and commercialization successes during fiscal year (FY) 2018. During the event, UK innovators, successful commercialization deals, Small Business Innovation Research and Small Business Technology Transfer (SBIR/STTR) recipients, UKAccel graduates and the National Academy of Inventor (NAI) members will be recognized and honored. The inaugural Lee T. Todd Lifetime Achievement Award in Entrepreneurship will be presented to Lee Todd. Register for this event and come out to enjoy delicious refreshments, networking with campus and community members, and celebrating UK’s accomplished innovators. FY 2018 brought record-breaking numbers with 101 inventions disclosed, 23 patents issued and 126 active licenses and options. There was $2.35 million in gross royalty income distributed and $5 million in income distributed to inventors in FY 2018, and $14.62 million income distributed to colleges and departments since 2010.